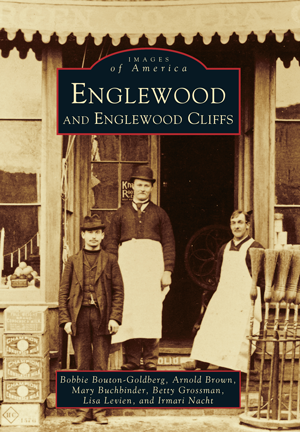 Discover the history of Englewood, "the Queen City of the Palisades," and Englewood Cliffs in this enlightening tribute to these communities. With images from pre-Revolutionary days to the opening of the George Washington Bridge, the Friends of the Englewood Library trace all aspects of life, including the expansion of political and social institutions. Drawing from public as well as private collections, the story of Englewood and Englewood Cliffs unfolds in this volume—from scenes of fishing villages to farms to grand mansions—tracing the progress of a once rural area that developed into residential communities with tree-lined streets, many parks, hiking trails, and nature preserves within a few miles of New York City. In this visual compilation of Englewood history, meet the founding families of the area as well as some of its notable residents. View the work of prominent architects and tour a variety of landmarks and eclectic buildings, from Dutch Colonial homes to a 600-foot-long wooden hotel. Combined with carefully researched text and amusing anecdotes, the images in this collection capture the essence of an earlier time in our nation's history. Join the Friends of the Englewood Library on a journey to the Englewood and Englewood Cliffs of long ago, and relive the cherished memories of those who have called these communities home.